EventSeries® LSZH Fibre Hybrid HDTV Camera Cable Cable - SMPTE 311M | Belcom Cables Ltd. When carrying HD-SDI video many venues and large facilities need longer distances. SMPTE 311M is the solution that fills that requirement. 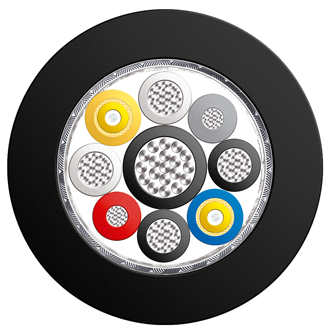 Designed for high-definition (HD) cameras, this composite cable can carry multiplex audio signals, video signals and deliver power.